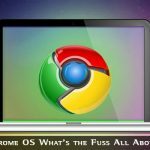 Chrome OS What's the Fuss All About? 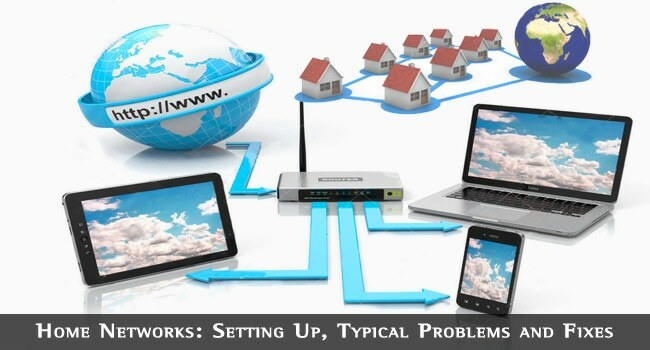 Just because you are setting up your home network, it does not mean that it does not have to be done properly. At the same time, many of us will hear the term ‘network’, and will just want to go running to a computer network support provider. You may need to use a Windows terminal emulator so your computer can connect with the huge database or mainframe of one of your clients. Emulators are just another way of talking through the Internet in a language older mainframe computers can understand. So, apart from being relatively easy, many of us think it is a big deal to set your home network. Here are some of the issues that will help you realize it is a simple process of setting up, the major points to understand, and away you can go. You may have two computers, and only one printer, for example. Instead of printing through one of the computers, or printing from one of the computers, a WLAN (Wireless Local Area Network) or a LAN (Local Area Network) will mean any computer on the local network can use the printer. If you have wireless networks, this task becomes easier. Any new computer that comes into range of your wireless broadcast, can get access to the Internet, and is on the local area network, connected to the Internet by the wireless router, and then connected to the Internet. At the same time, many of us will hear the term ‘network’, and will just want to go running to a computer network support provider to help hook up the internet. You may need to use a Windows terminal. These days we are all connecting via wireless. It just makes life easy, and we do not have to worry about the hassle of cables everywhere. Connect your ADSL modem to your telephone line as usual. Connect your wireless router to the modem with an Ethernet cable. A wireless router will have several ports for spreading the connection (on LAN) and a wireless broadcasting dongle). Connect your computer with another Ethernet cable. Open your browser, and type in 127.0.0.1 (the normal address) or look in your routers manual. You will see the entry page to the browser. Reset the password for browser access, enter your ADSL connection details, and add a password for your wireless connection. Boom, you are done. A WLAN (Wireless Local Area Network) is exactly the same as a LAN, except it is created through your wireless devices. For example, if you have an Internet connection, and it is using a wireless dongle to broadcast your Internet signal, and you have two computers using that same Internet connection, they are on the same WLAN. You can see this by looking at the IP address. The IP address is made up of 4 sets of numbers divided by decimal points. Each of these number sets will have 1 – 3 digits. The first 3 sets of digits are the network address, and the last number is the local point access. You cannot have two computers connected to the Internet and they have the same number. This is exactly the same with LAN connections. Your computers and your router will automatically assign a different address to each device. If you are using a client-server based online application, or you are just using a WLAN in a public location, it is important to understand there are many reasons why a WLAN might not be so secure. To set up your computer with your wireless router, and normally you will connect the wireless device (connected to the modem), at the same time. Wireless security is extremely important, and it is important you access the configuration settings to include a password. This means you cannot get onto your network without a password. If you have a WLAN and you wonder why your data-connection time is so high, and it is costing you a hell of a lot, it is because you are giving way free access to the Internet. You might even learn their tricks of the trade. Encryption for the communications you are sending especially when in a public location, like a WiFi hotspot in a café. It can be easy for someone to use software and catch that information traveling through the air. If you don’t understand, it is better to have a computer support professional give you the help you need. Sometimes even a very normal and stable connection can start to slow down. This is because there is a lot going on inside that router. Many of us will leave our computers on 24/7, and we will do the same with our router. If you are experiencing problems, or sluggish performance, rebooting can be a quick way to solve all of your problems. Turn off the modem and router for at least one minute (we need to let all the electricity to fade out to make sure they are ‘clean’). Give your computer a quick reboot in between. Start up the modem, and then start-up your wireless or standard router. Chances are your network will be fine, and your Internet connection even a little faster. Always keep your modem and routers away from other electrical cables and minimize the length of any cables you are using. And finally, make sure you have powerboard with surge protection for your devices, because even small surges in the current can damage a modem and especially a router. I didn’t realize that even small surges could cause damage in a modem. Currently, I have the modem placed on a regular socket. Hopefully changing to a surge protector can help out. Thanks for sharing. I remember when I first setup my home network, I had the hardest time deciding between LAN lines, or wireless. I wanted the convenience of wireless but also wanted the speed of the LAN. In the end, I went with both, having a LAN for my computer and gaming system, with wireless for my phone and other devices. Thanks for the great tips and advice!